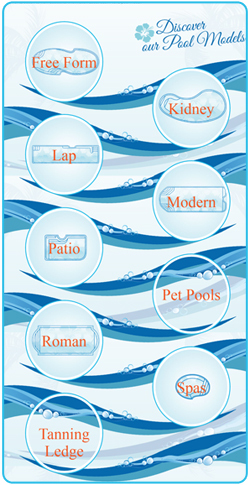 Through Aloha Fiberglass Pools we have a huge variety of styles to choose from, or you can customize your own. Check out our the Aloha Fiberglass Pool Models. Sundance Construction and Development is an independent dealer for Aloha Fiberglass Pools. They can professionally install a state-of-the-art product that combines long-lasting durability with beautiful designs. Choosing a Aloha Fiberglass Pool is more than creating a place for swimming and fun. It is a solid investment in your property value and a delightful long-term addition to your lifestyle. Your investment in a Aloha Fiberglass Pool over concrete or other types of pools, is enhanced by savings in monthly chemical, electrical and maintenance costs. Aloha Fiberglass Pools are constructed under strict quality control standards in our new state-of-the-art manufacturing plant by experienced fiberglass craftspeople, utilizing the latest technology in manufacturing, engineering, and design, with a strong commitment to detail. 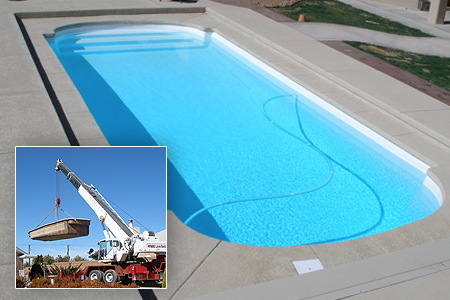 Sundance Pools and Home brings 25 years of experience to the installation of your perfect pool.